It’s almost impossible to overstate the functional and aesthetic importance of our eyes. When we look out at the world, we see it with our eyes. And when the world looks back at us, our eyes are often what get noticed first. They are also the single most noted physical feature on dates and first meetings. A whopping 80% of those surveyed say that eyes—not hair, teeth, or lips—were what they noticed first upon meeting someone new. As a result of this focus, rejuvenation of the eye area through treatments like blepharoplasty surgery or eyelid lift surgery, can provide a sensational aesthetic benefit. The most common complaint of young men and women in their late 20s and early 30s is dark circles and lower eyelid puffiness. 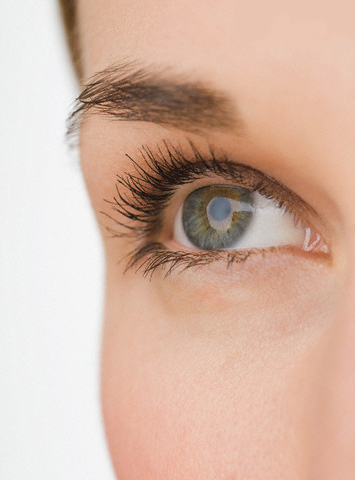 Women in their late 30s and 40s and men in their 40s and 50s notice that the eye area looks tired. We might begin to notice and be troubled by drooping upper eyelids (which in some cases can even impair vision), thickened skin, “bags” or pockets of protruding fat, a “hooded” look, crows’ feet and dark circles. Thinning eyebrows and sparser eyelashes contribute to the problem by drawing attention to the area. If you want to renew and refresh your eye area, don’t assume that eyelid surgery (called blepharoplasty or eyelid lift) is your only—or even best—option. Although blepharoplasty is an incredibly popular method of eyelid rejuvenation (last year, 100,000 men and women underwent this procedure), there may be other considerations. For example, are nasal allergies, sinus disease or nasal polyps causing or contributing to lower eyelid swelling and darkness? Depending on your particular needs, Dr. Yagoda will advise you which options merit consideration. For example, she may recommend medical or allergy treatments, topicals or injectables such as Botox, Dysport, Restylane, or other fillers/injections. She may offer a non-surgical solution, such as her trademarked Tri-EYE-umph! Procedure, chemical peels, IPL or laser treatments. Or, if your particular situation warrants it, she may discuss surgical solutions ranging from blepharoplasty for the upper eyelid, blepharoplasty for the lower eyelid, and/or a browlift. Some of these procedures and treatments may be offered in combination. Dr. Yagoda will consult with you at her New York City (NYC)/ Manhattan office to help you make informed choices about your eyelid lift options so that the procedures you choose will produce the results you want. Unfortunately, age isn’t always kind to the health of our eyes. Advancing years often bring reading glasses, uncomfortable dry eyes, and more serious concerns, such as an increased risk of glaucoma, cataracts, and age-related macular degeneration that can make even everyday tasks such as reading and driving next to impossible. In New York City (NYC) and Manhattan, Dr. Yagoda urges all her patients to get a complete eye exam every 1 to 2 years as part of their commitment to healthful aging. As an otolaryngologist or ENT (Ear, Nose, and Throat) specialist and facial plastic surgeon, Dr. Yagoda does not perform these exams herself. She is, however, happy to refer you to her medical colleagues who specialize in the care of the eye, prevention of eye disease, and treatment of eye disorders. From Quebec to Qatar, Dr. Yagoda’s patients come to New York City (NYC) from all over the world. Find out how we can help you get here from abroad.